Debenhams has 153 stores across the UK and Ireland and a fully transactional website, reflecting Debenhams' commitment to offering our customers greater value, a wider choice and excellent service across every area in which we trade. 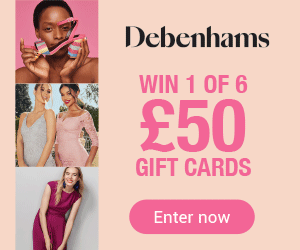 Prize: 6 x £50 Debenhams Gift Cards. There are no alternatives offered for this prize. 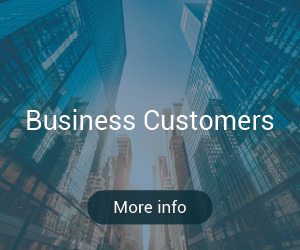 This promotion is open to clients/customers of The Gift Voucher Shop Ltd, excluding employees of The Gift Voucher Shop Ltd, Debenhams, their families, agents or anyone else professionally connected with this promotion. No third party bulk entries. Debenhams reserves the right to verify the eligibility of entrants. Entry into the draw is deemed to constitute acceptance of these terms and conditions and that entrants agree to abide by these rules. This promotion may be amended or withdrawn at anytime as the promoter’s reasonable discretion. The 6 winners will be drawn at random from all entries received. The winner will be notified by telephone. The prize is awarded conditionally upon acceptance. If a winner is unable to be contacted after a reasonable period, if any prize is unclaimed or declined within a reasonable period, the prize shall be deemed as unclaimed or unaccepted and a supplementary winner may be drawn at the discretion of Primark.